How many bugs do you see in your house each week? Hopefully not too many because you have good pest control. Though at my apartment, sometimes the sneaky buggers get through that first line of liquid defense (pesticide) and sneak into the house. And before you know it you have a new roommate named Ronnie. But enough about my new pet cockroach, let’s talk about this awesome new board game where you get to role play as an exterminator trying to eliminate pests! Want to learn more about Todd and Michael’s game, Pests!? Michael: We’d been in the same orbit of friends for more than a decade, but had never collaborated on a project before Pests, and we discovered that we worked really well together creatively. So I guess you could say that Pests brought us closer. 2. What are both of your goals for making a board game and getting it published? Todd: I’d like to be able to continue on in a career in art and drawing goofy things, and continue working with board games because it’s a lot of fun to see people interacting with the art I create. But yeah, at the end of the day I would like to be able to afford some new socks. Michael: Ideally, it would be great to be able to make a career out of this kind of creativity. We have a lot of additional games in the pipeline, and are collaborating with other game developers in the North East Ohio area to turn Spontaneously Combustible Games into a company that produces fun, unique games that are accessible to novice gamers but still enjoyable for experienced tabletop warriors. How they Made their Board Game, Pests! 3. About how much time went into playtesting Pests? Michael: I don’t even know if it’s possible to keep track of all the time, especially once you count all the blind playtesters that tried out first the Print & Play, and later prototypes that we provided for them. I think after about the first 100 playthroughs you start to lose track. I can say that the majority of the major design & rules changes came within the first 3 months of intensive playtesting, and the remainder of the time was spent getting the last 10% of adjustments made. 4. How many different versions of your game did you see from start to finish? Todd: Luckily, we didn’t go through many major versions. It was mostly tweaks and minor adjustments. The game started out with the modular board, variable player abilities, and even the basic six pest types – those were in place before we even built our first prototype. I think you can credit a few good brainstorming sessions to avoiding major changes. Michael: Agreed. The basic form of the game is a lot like what was in my mind before Todd & I first got together to drink beer and talk game mechanics. Except that it looks waaaay cooler due to Todd’s artwork. 5. What is some memorable feedback you received from playtesters of your board game? Todd: For me, it was the way people appreciated the balance of strategy and luck, and on the visual side of things, the way people responded to the art style of the game. The Roll for Crit review mentioned that the art reminded them of a blend of Rocco’s Modern Life and Dr. Seuss… that was flattering as all get out. Michael: The best piece of feedback I ever received for the game was at a local gaming event. We were running demos of the game, and were just starting to set up the pieces, and I heard, “Hold on, let’s play this game instead,” from one table over. It was a playtester who’d tried the game a few times before, and brought a tableful of friends over to play. I can’t think of a higher compliment than that. 6. When did you realize your board game was good enough to try self-publishing it through Kickstarter? Michael: Our goal from the beginning was to take the game to Kickstarter, so that was something we were working towards from the beginning. I think the point we realized that it was ready for Kickstarter was when the rules had barely changed in the previous month of intense playtesting. Once the rules had hit that stable point, the focus moved to getting all of our promotional ducks in a row to launch the Kickstarter. 7. Who is in charge of marketing your game? Todd: That’s all Michael. I just help create content. Michael: With a lot of advice from the internet. There are so many great resources out there, including James Mathe & Stonemaier’s blogs about Kickstarter, as well as lots of Facebook groups that are more than happy to give you (sometimes brutally honest) feedback about your promotional plans. 8. 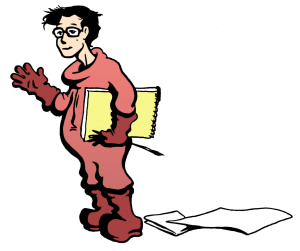 What have you found to work best for promoting the launch of the Pests Kickstarter? Friends whose game nights we brought the game to. It’s been awesome seeing all these people that tried out the game along the way showing up to back it during the Kickstarter. 9. Is there any type of marketing that you tried and would NOT recommend to first time game designers? Michael: Our plan from the beginning was to try to build up grassroots interest in the game. We haven’t spent a lot of money on online ad buys, so it’s hard to say whether that would have been useful. 10. If you could add or take away 1 pledge level, what would it be and why? Todd: So far, backers have been nicely responsive to the pledge levels we have up there. The one that hasn’t been backed – the $499 tier where you get the original box art – might be a little bit of a reach, but I wouldn’t take it away. 11. What was the hardest part(s) about making your Kickstarter campaign? Michael: The biggest challenge for me was pricing it properly. Getting quotes from all the different manufacturers to make sure that our funding goal would be attainable and factoring for all the incidental costs as well. Beyond that, planning far enough ahead of time to get review copies ready to send out was important, and actually building those prototypes was a much bigger task than expected. Todd: My understanding is that pricing it properly was the hardest part. I just kept drawing. 12. Are you satisfied with the results that your campaign so far? Michael: At this point, we’ve crossed the 75% mark with 3 weeks left in the campaign. I can tell you that I won’t be sleeping soundly at night until we’ve crossed the funding threshold, but so far we’re pretty happy with how it’s been going. 13. 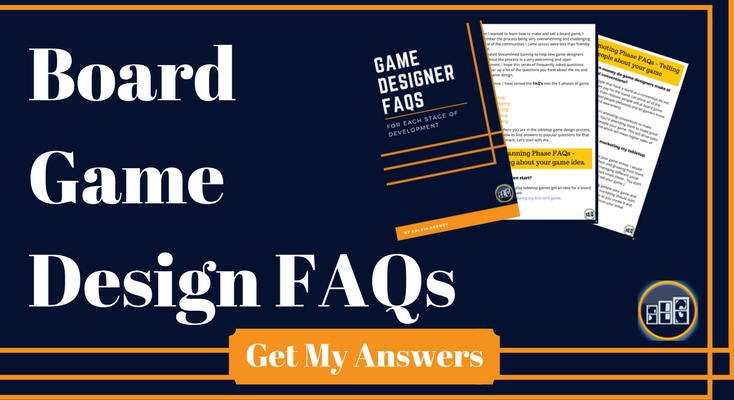 What is 1 tip you have for a first time game designer wanting to self-publish a board game? Michael: It’s fun, but it’s also going to be a LOT of work. Do your best to stay in touch with the people who’ve tried out your game. Todd: Get it in front of as many people as you can, and really listen to their feedback, even if it stings a little. 14. What is 1 tip you have for an aspiring artist that wants to make art for board games? It’s really easy to get sidetracked and other ideas will pop up, but stay focused. Don’t lose track and don’t stop. What Have You Learned from Today’s Interview with the Creators of Pests! the Game? Is there something in particular that caught your eye today? What did you find that was interesting about making a board game?